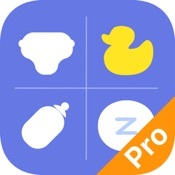 Picked by Apple as a Staff Favorite, Total Baby is the #1 and most complete baby logging and tracking application on the App Store. While get featured on dozens of parenting magazines, it has also been heralded by CNN, People, The New York Times and The Wall Street Journal. With 14 separate timing and tracking functions combined into one single complete solution, Total Baby will help you log and time all aspects of your child's care through a streamlined and smart interface that makes tracking easy and fun. In our latest release, we also bring you the Apple Watch app. 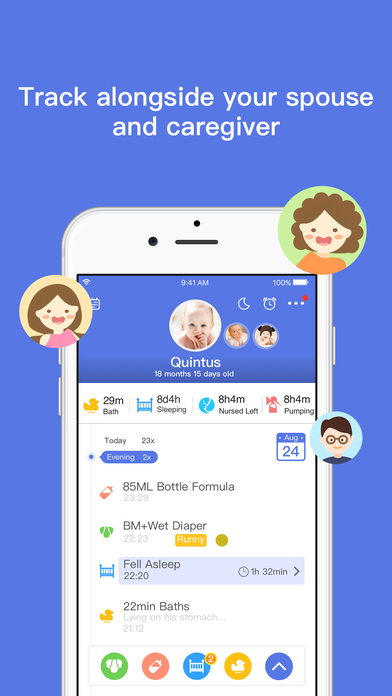 Gone are the days of pulling out your phone to create every new entry, you can now log in feedings, sleep schedules, bath times and diaper changes effortlessly right on your wrist. - Time & track diapers, nursing, pumping, bottles, solids, sleeping, bath, and other; log diary, milestones, doctor visits, growth, vaccines, and allergies. - Built in Summary and Timeline plus 15 Interactive Charts to help know your child’s daily schedule and routine. - Automatically backs up all the data to the cloud and syncs between your devices, add as many as you need. 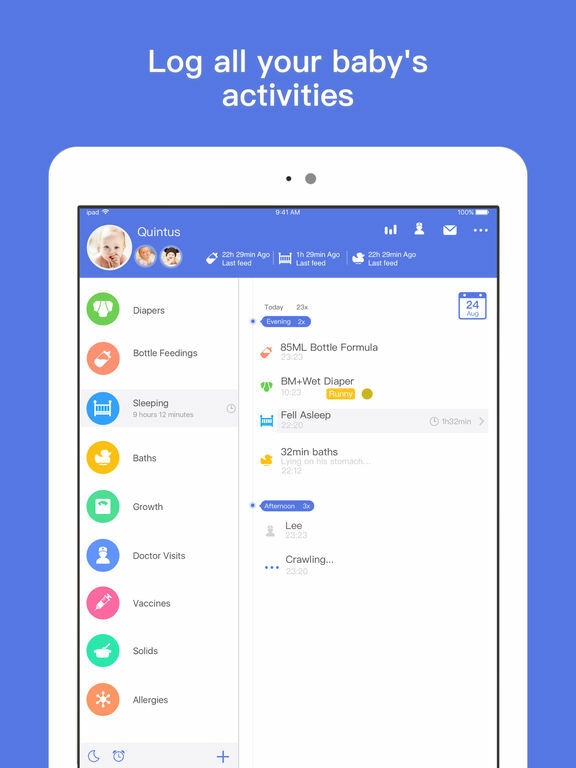 - Invite and connect other family members or caregivers to track and know your child’s activities. - Support for multiple children with an innovative dual timer display which automatically detects twins or multiples. - Complete milk pumping system to track expiration and usage.